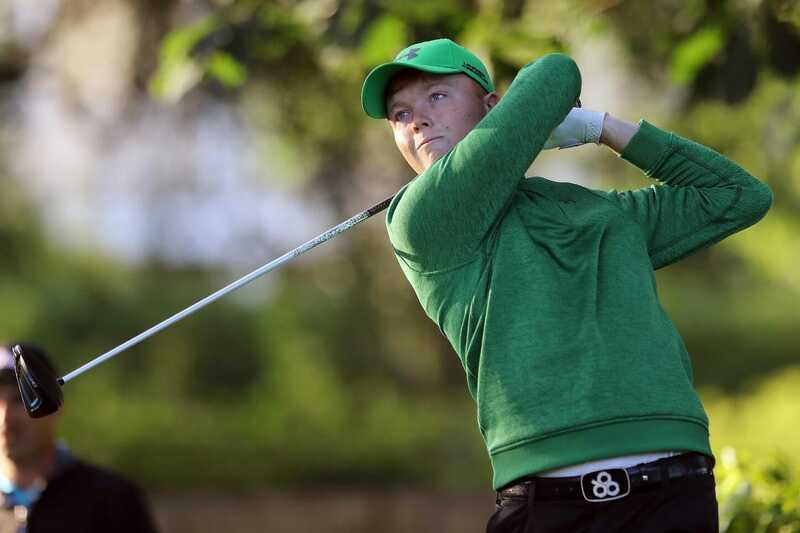 Four Irish players have been named in the 20 player Great Britain and Ireland squad for the 2018 St Andrews Trophy match which will be played at Linna Golf in Finland on Thursday 26 and Friday 27 July 2018. Robin Dawson (Tramore), Alex Gleeson (Castle), Caolan Rafferty (Dundalk) and Rowan Lester (Hermitage) have been selected in Captain Craig Watson squad with the final nine-man selection facing the Continent of Europe for the second occasion following the 121/2 – 121/2 tie in the last match at Prince’s in Kent in 2016. Watson returns to the role after missing the Walker Cup match in September last year due to a family bereavement. Ireland’s Robin Dawson will be looking to secure his place in the team having come close at the Walker Cup. Dawson was a late addition to the squad last year after a bright start to 2017 in which he recorded two runner-up finishes at the South African Stroke Play Championship and the European Nations Cup. The world number 66 is the highest ranked Irishman in contention. With many of the 2017 Walker Cup team having turned professional following the 19-7 defeat by the United States in September, only England’s Matthew Jordan returns to Watson’s St Andrews Trophy squad. The 22-year-old is the highest ranked GB&I player in the World Amateur Golf Ranking (9th) after recently capturing the Lytham Trophy with a nine-shot victory. Having not been included in the original squad, Jordan forced his way into the Walker Cup team with an impressive win at the St Andrews Links Trophy. The Royal Liverpool golfer is joined by his victorious England 2018 European Nations Cup teammates Gian-Marco Petrozzi, David Hague and Todd Clements. Clements, the current English Amateur champion, claimed the individual title in Spain last month with a five-stroke winning margin. Scottish Amateur Champion Sam Locke is included in the squad for the first time. The 19-year-old won the Scottish title after defeating countryman Ryan Lumsden in the final at Prestwick last July. Lumsden has also been named in the squad alongside Calum Fyfe, the 2017 Scottish Golf Men’s Order of Merit winner. Watson will gather his squad on the eve of the St Andrews Links Trophy before the final team is announced after the European Men’s Team Championships in July. Ryan Lumsden, Royal Wimbledon, Scotland. Billy McKenzie, Rowlands Castle, England. David Hague, Malton & Norton, England. Harry Hall, West Cornwall, England. Jamie Stewart, Old Course Ranfurly, Scotland. Benjamin Jones, Northamptonshire County, England. Euan Walker, Kilmarnock (Barassie), Scotland. Matthew Jordan, Royal Liverpool, England. Robin Williams, Peterborough Milton, England.